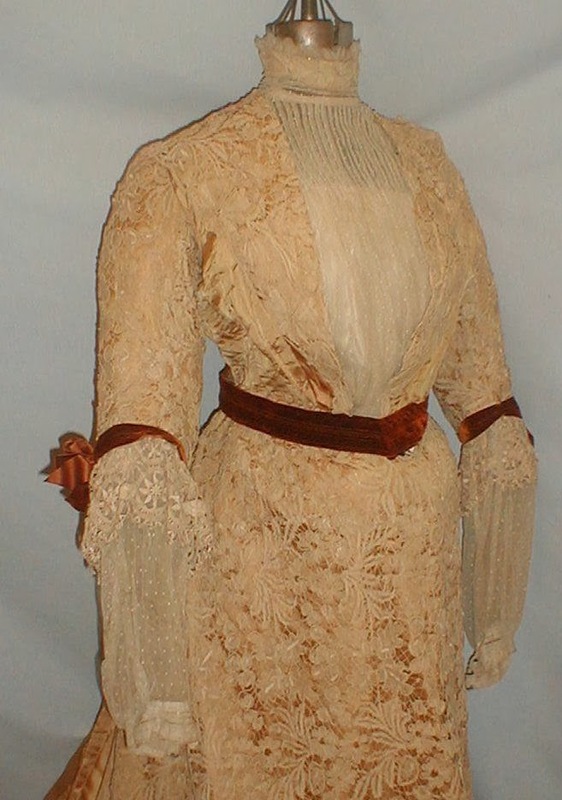 A rare 1890’s German labeled dress that has recently been de-accessioned from a museum collection. The label reads Geschn Muller, Bad Schwalbach. 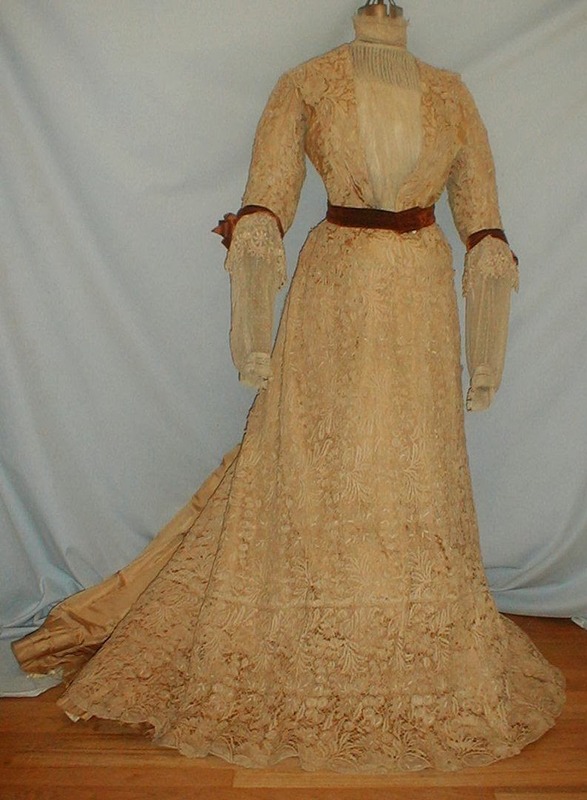 The dress is made of tan silk and lavishly decorated with beige lace. 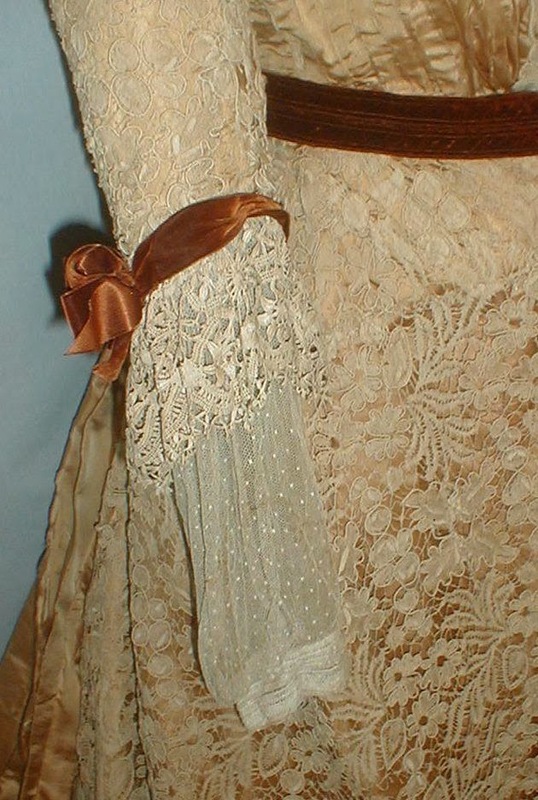 The bodice has a high neck front lace insert made of white dotted net lace. 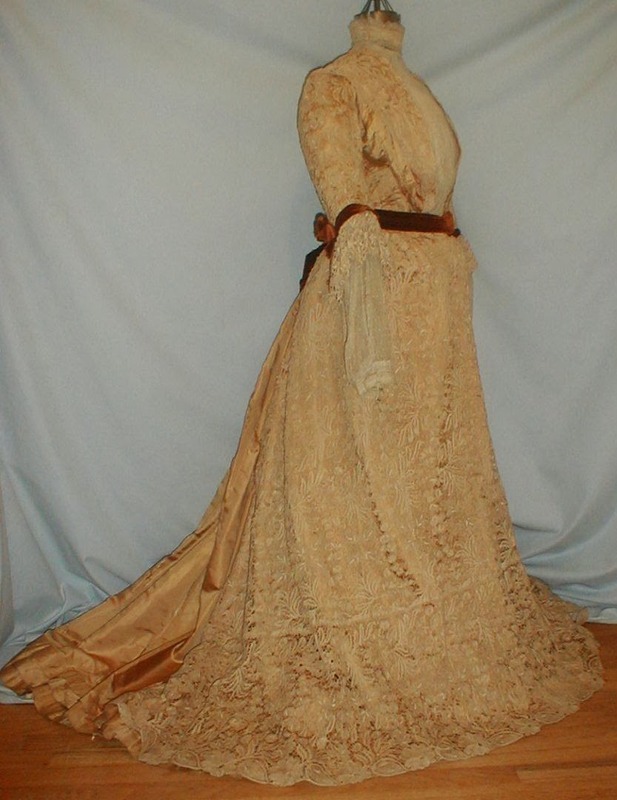 The sleeve cuffs and waist belt are trimmed with brown velvet. 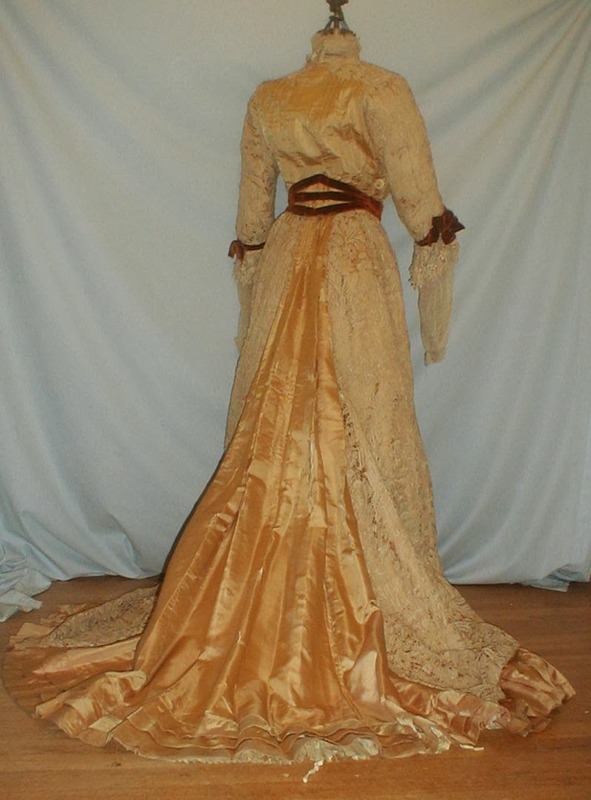 The bodice is lined with silk and has a front hook and eye closure. The inside lining has a button closure. 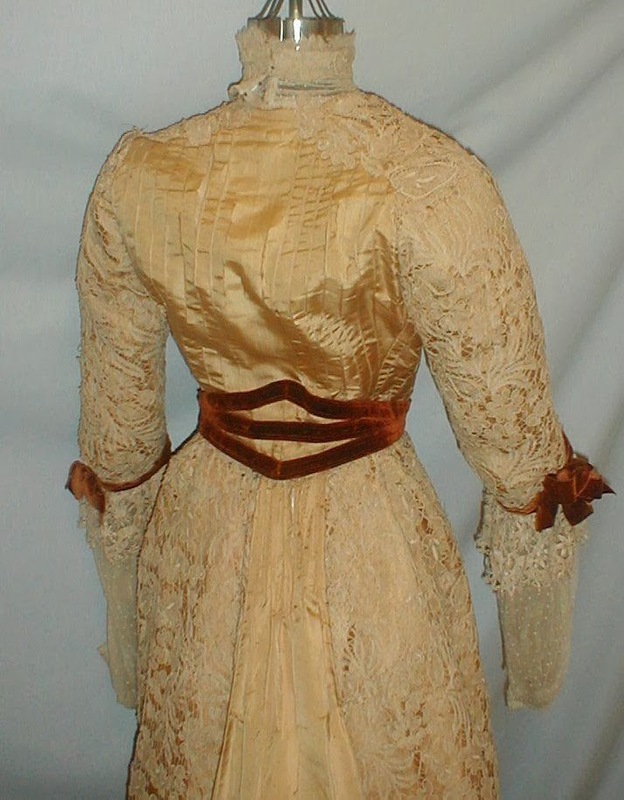 The skirt is lined with silk and has a long back sweep. The dress is in fair condition. 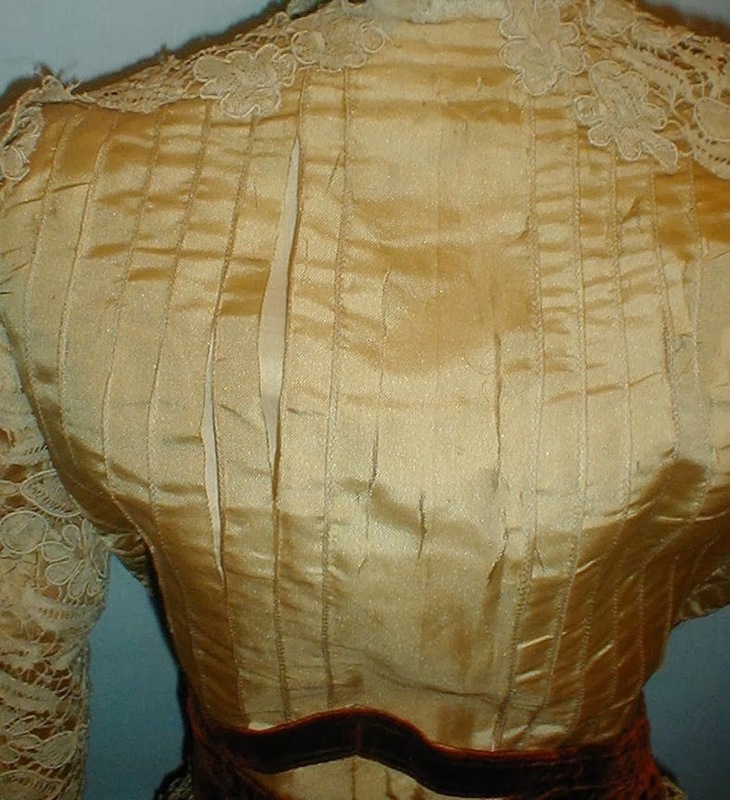 The tan silk fabric is splitting on both the bodice and the back panel of the skirt. 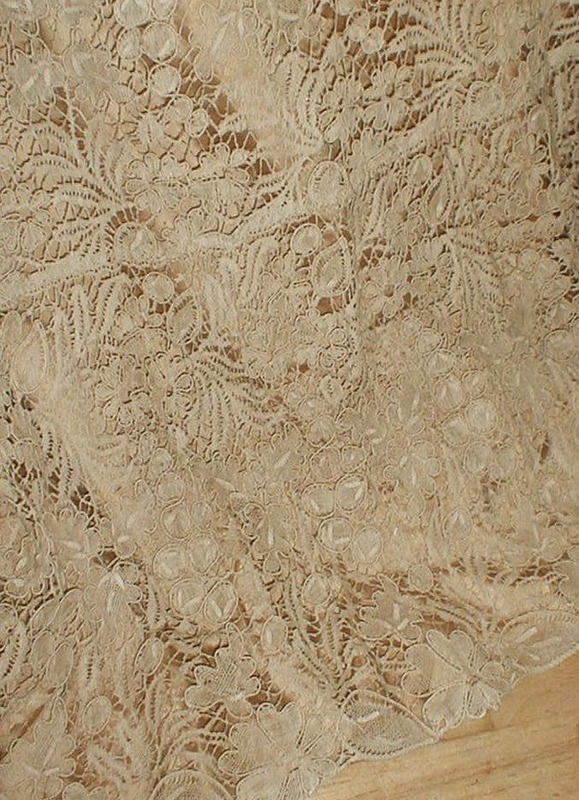 The lace is in very good condition with just a couple of broken brides. The silk lining is splitting. The dress is being offered for study or pattern. Bust 34 Waist 28 Front skirt length 44 Back length 54. 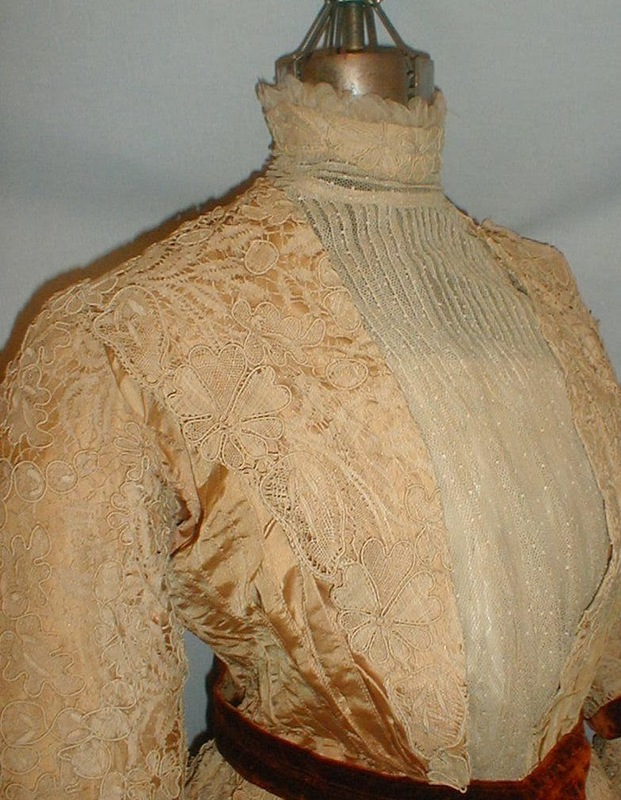 One quick look at the sleeves and that waistline and it was clear we are dealing with an early Edwardian. I'd guess about 1903/1904.